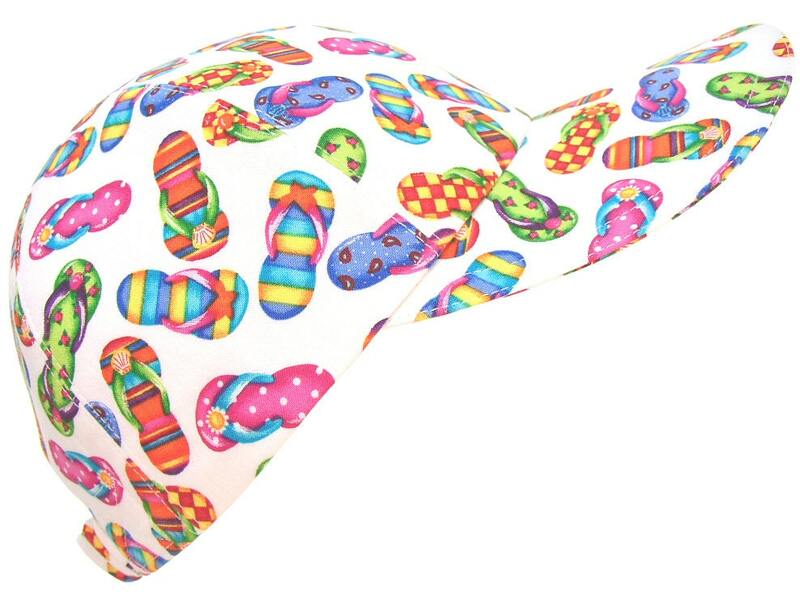 This style is called "Where's The Beach?" .... 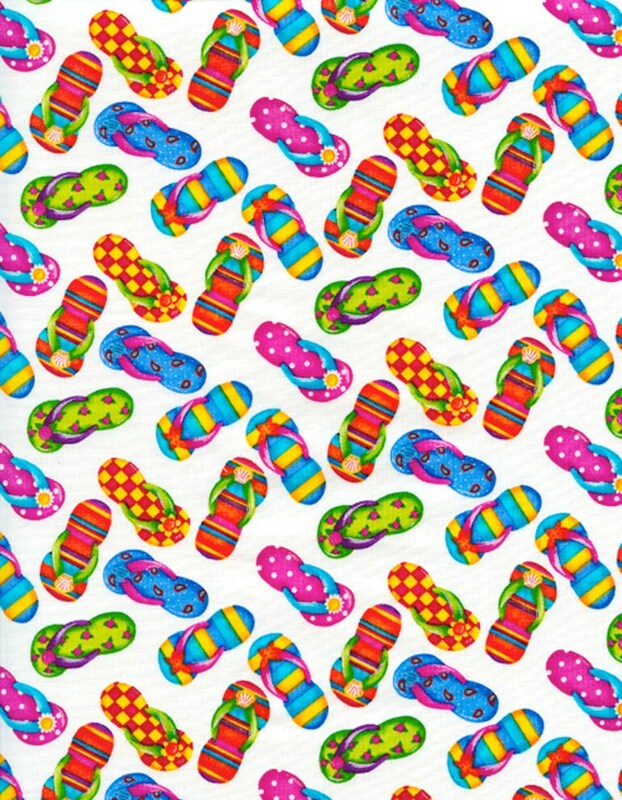 This print features bright colored flip flops in stripes, checks, polka dots and flowers in bright shades of hot pink, yellow, orange, red, bright greens and blues on a bright white background. White top-stitching and hot pink grosgrain on the white-on-white cotton floral print lining. 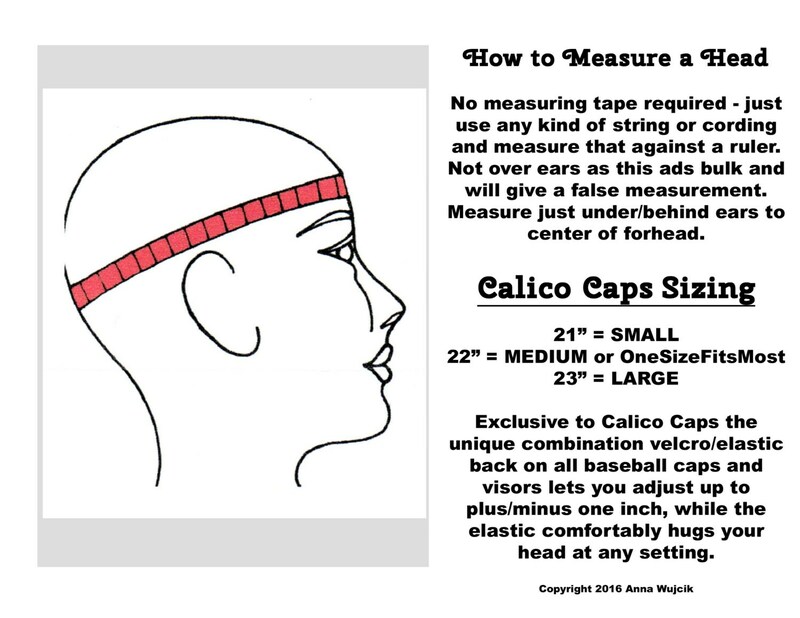 All Calico Caps' baseball caps and visors are adjustable to plus/minus one inch. 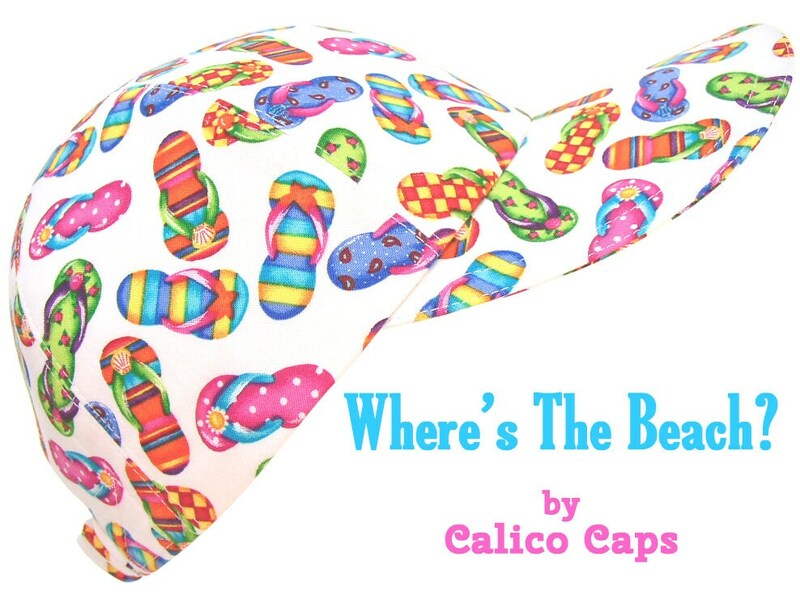 Most Calico Caps are size MEDIUM/ONE SIZE FITS MOST - THIS LISTING IS FOR THE SIZE SMALL.